This sturdy and durable doll's pram is equipped for any situation. 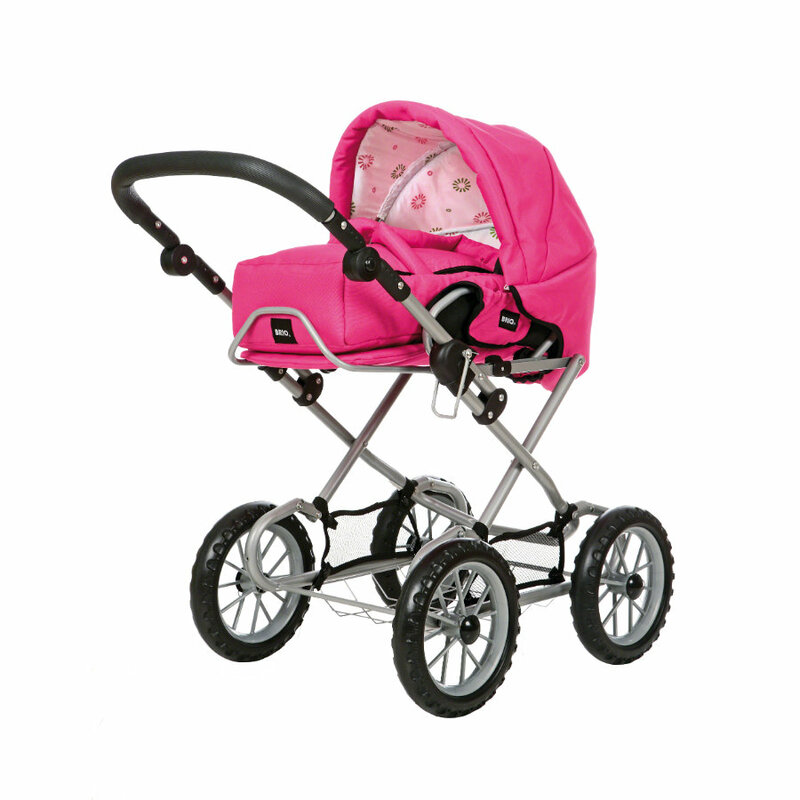 Just like a real combi pram, this one has a removable soft carrier with easy carry-handles. The seat and footrest can be adjusted and the material wipes clean. The handle can be adjusted to suit children of different ages and heights. A folding hood, folding frame, side pockets and spacious shopping basket complete this versatile pram.